This is a long, flat run with water views the whole way. 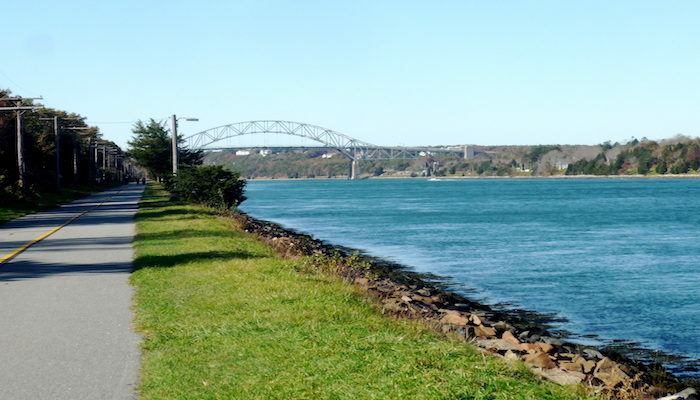 This paved bike path follows the Cape Cod Canal through sections of Bourne and Sagamore, for 7.5 miles between the Bourne and Sagamore Bridges. . Maintained by the Army Corps of Engineers, it offers fantastic views of the canal’s various boat traffic, along with the area’s quaint shoreline scenery of unique homes and natural beauty. There are benches along the way for resting and a picnic area at the Bourne end. There are mile markings every half mile. One can run along the north side (7 miles) or the south side (6.5 miles). 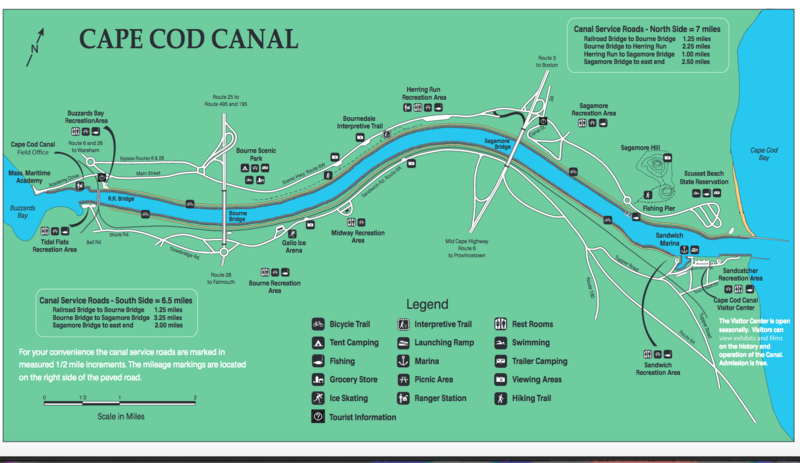 There’s a visitor center, open seasonally, at the Bourne end of the trail (south side). Scusset Beach, also good for running, is off the north side (Bourne end). There’s no easy way to cross between the north and south sides.